Robert “Bob” D. Carufel passed away peacefully at home in Mesa, Arizona on March 31, 2019. Bob was born to Raymond and Ruth Carufel in Vernal, Utah on December 10, 1950. Bob grew up on the Salt River Indian Reservation after his family relocated there in 1960. He graduated from Westwood High School in 1969 and Mesa Community College in 1971. 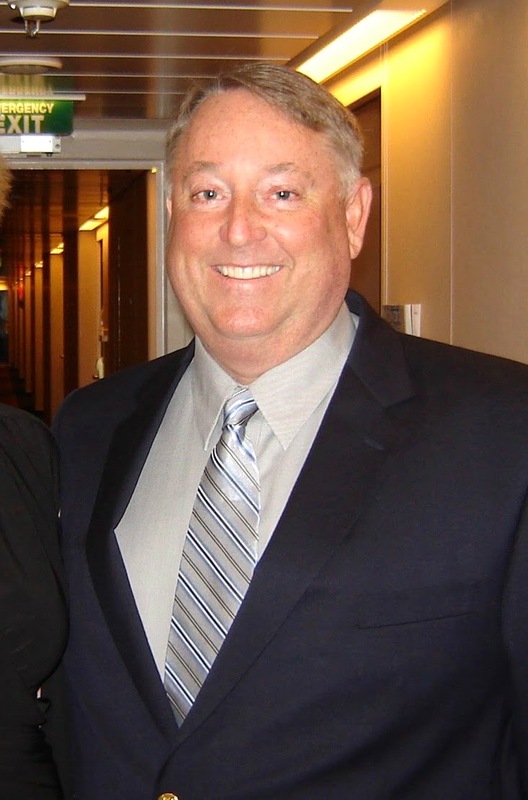 During his career, Bob owned and operated Mesa Truck Supply and Nevada Mixer Supply in Las Vegas. He was also proud of his partnerships in Kenz Cycle Tech and Hunter’s Paint and Auto Body. As an avid collector, he acquired many vehicles, engines, and specialty items. Bob was always fun to be around and will be missed. Bob is survived by his wife, Thea; daughter, Elizabeth; brother, Steve (Carol Kapplemann); sister, Christine; and niece, Rachel (Seth) Snow. A visitation will be held from 6:00 to 8:00pm on Friday, April 5, 2019 at Bunker’s Garden Chapel, 33 North Centennial Way, Mesa, Arizona 85201. The funeral service will be held at 11:00am on Saturday, April 6, 2019 at Church of the Master Presbyterian Church, 6659 East University Drive, Mesa, Arizona 85205. Interment will be at Oakland Mills Cemetery in rural Mt. Pleasant, Iowa. In lieu of flowers, please consider a donation to the Collings Foundation for the restoration and maintenance of historic Warbird planes and historic artifacts in memory of Bob. We are so saddened by the loss of Bob in this world. We are so grateful that he chose to share his faith journey with us in his final months. He will be missed. We will continue to hold you, Thea and Elizabeth, in our prayers. Many thoughts and prayers for all of you. So sad for the loss, Bob was a special kind of guy. Thea, Ecclesiastes says ‘there is a time to mourn…’. You have the time you need to do so. There will come a time when the good memories will overcome the mourning. Above all else, remember that Bob is on a better place, where there are no more tears or pain. Bob is whole once more, no pain and no misery. He will always be there for you. Bob had a special place in our hearts even though we only knew him for a few years. His contagious smile and down-to-earth personality were a true gift to us. He was always generous with his time and resources and truly left a lasting impression on our entire family. We rejoice in knowing that he is whole in the presence of Christ. Our hearts break for those he has left behind for a while as we know he will be so incredibly missed. We will continue to hold you both in our prayers and trust that God will meet your every need. Much love and hugs to you from our entire family. I love you bob :I will remember all the good times Ann miss your laugh. Thanks for being my friend. I will miss you very much. We were so glad to spend time with all of you in December and past summers in Ouray. We know Bob is free of pain now, and pray that you and Lizzie will feel God’s peace, comfort, and guidance in the days and months ahead. Bob was a very good person with a ready smile and a way that could brighten any day. Thea and Lizzie, you are in my prayers for peace and comfort. Bob, thanks for the memories. We have great memories of times we spent with Bob and are happy we got to spend time with both of you recently. He was a true friend that we could always count on. His generosity was overwhelming. He will be missed by all. I pray you and Lizzie find comfort in the time ahead. I only knew Bob for a short while, but in that time he spoke so fondly of family and close friends. He saw the beauty in what things could be. He was so very proud of his daughter. He was taken too soon. My heart is with his family and friends. May the happy memories flow through you. Condolences to Thea, Elizabeth, Steve, Christine and Rae. Bob, Thea opened their house to their cousin from Lac du Flambeau Wisconsin on my trip to an Indian Health Service conference. My middle name Raymond comes from his father, Uncle Ray. Bob’s, Steve’s and Christine’s paternal grandparents were William and Alice Carufel, Ojibwe Indians from Lac du Flambeau Indian reservation in northern Wisconsin. They had 12 children: Sophia, Raymond, Joseph, Francis, Ester, Rosalind, Marie, David, William, George, Charles and Delores. Bob had many, many cousins and all share their grief in his passing. Our Dad David, would spend many months training in Tucson, Phoenix for the Indian Health Service, and would spend time with Ray/Ruth and Steve, Bob and Christine. His fellow cousin, Richard “Dickie” Matt and his wife Virginia and their children also lived in the Phoenix area. Uncle Dave’s youngest son Charles represents the Wisconsin family. Bob was an enrolled member of the Lac du Flambeau Band of Lake Superior Chippewa Indians. Condolences from Robin Carufel, eldest son of Uncle Dave and Aunt Alice Carufel. Cousins Sally, Donny and Charlie send their regards as well. I was fortunate to share meals with Steve, Bob, Thea and Elizabeth when I came through Phoenix on my trips for the Indian Health Service . Bob was an enrolled member of the Lac du Flambeau Band of Lake Superior Chippewa Indians located in northern Wisconsin. His paternal grandparents, William H. Carufel Sr. and Alice Bamaasinokwe Carufel of Lac du Flambeau had 12 children: Sophia, Raymond, Joseph, Francis, Ester, Rosalind, Marie, David, William, George, Charles and Delores. Our father David spent months in Tucson and Phoenix while training for the Indian health service. He spoke very highly of his nephews, Steve and Bob and niece Christine plus other relatives including the Richard/Virginia Matt families of Phoenix area. Godspeed Bob. Thank you for being a friend. Bob was my best dirt bike rider friend ever. We had so many experiences and close calls in our 20’s that we talked about all the way up to 2018. I will forever have those special times in my mind and will remain grateful and thankful that Bob touched my life as a special friend. I will miss him but it is comforting to know he is now in a perfect place and whole again. Praying for peace and comfort for the whole family. RIP in friend. Long time friend,40 years this June.